London Acer Aspire laptop repair specialists in the United Kingdom – Do you experience a problem with your DC power jack or have you spilled liquid or water on your Acer Aspire laptop’s keyboard? Or did you accidentally break your Acer Aspire laptop’s LCD screen? Contact Creative IT UK, a Central London based Acer laptop repair centre providing expert and cost effective Acer Aspire series laptop repair, replacement and upgrade services to clients all over the United Kingdom. As a professional laptop computer repair company in the UK, Creative IT is always committed to provide our valued customers with exceptional services on all Acer Aspire notebook models at highly competitive prices. 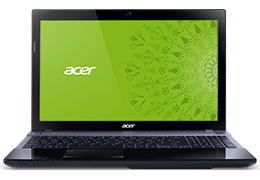 Our technicians have years of good experience and practical knowledge in dealing with all Acer Aspire laptop issues. We are confident to offer our customers excellent Acer notebook repair and upgrade services with quick turnaround time. Our dedicated component level technicians can make a diagnosis and fix all types of issues with your Acer Aspire laptop model, including notebook computer does not start up or boot into Windows operating system, no lights glow during start up or boot, defective or broken DC power jack on laptop computer, notebook displays a black screen, laptop power and battery problems, laptop screen flickering, laptop is overheating, laptop won’t turn on, broken or cracked laptop LCD screen, slow boot up and slow performance, no POST / no video, AC adapter failure, blue screen error messages, USB ports on laptop suddenly stopped working, laptop lockups and crashes, laptop unexpectedly shuts down, hard drive making weird clicking noises, graphics chip / video card failure, liquid damage, LCD screen inverter failure, laptop freezing or not responding, dropped Aspire laptop, noisy or broken notebook cooling fan, built in speakers doesn’t function, hard drive failures, memory / memory slot issues, broken or cracked notebook case, laptop battery doesn?? ?t last as long as it used to, laptop battery not charging, dead or stuck pixels on notebook screens, faint images (dim laptop screen), backlight lamp failure, scrambled or distorted video, vertical lines, horizontal lines on LCD screen, damaged laptop keyboard, broken display hinges, keys on laptop keyboard not working, laptop hibernation and standby issues and laptop computer may be infected by a virus, worm, adware or spyware. If you have any problem with your Acer Aspire laptop or notebook, then call us at 020 7237 6805 or e-mail us at info@creativeit.tv to receive high quality London Acer Aspire laptop repair services at remarkably affordable prices. Let our experts take care of your entire Acer Aspire notebook repair, upgrade and replacement needs.